5 September 2018, San Francisco: Dashbot today announced that it has been named one of the first companies in the “GSMA 100”, a global innovation discovery initiative developed by the GSMA to identify and advance the next generation of connectivity and digital services. Comprised of the world’s most promising growth-stage companies and selected by mobile operators and investment partners, the GSMA 100 represents operator innovation priorities in key areas such as 5G and networking; artificial intelligence and machine learning; consumer experience; data and analytics; the Internet of Things; media and entertainment; and security, among others. “We are excited and honored to be part of the GSMA 100, and look forward to working more closely with the GSMA and its partners,” said Arte Merritt, CEO and co-founder of Dashbot. The GSMA 100 are nominated by GSMA operator members, ecosystem companies and leading technology investors and primarily include growth-stage, venture-backed companies from their portfolios, partnerships or interest areas. Following a competitive review process, the nominations are evaluated and narrowed to yield the final cohorts. Dashbot was among the first 29 companies named to the GSMA 100; the remaining two cohorts for the GSMA 100 will made public in February 2019 at Mobile World Congress in Barcelona, and in June 2019 at Mobile World Congress Shanghai. 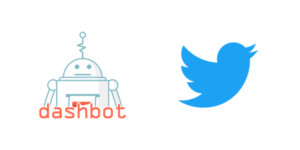 Dashbot is an analytics platform for chatbots and voice assistants that enables brands and developers to increase user acquisition, engagement, and monetization through actionable insights and tools. In addition to traditional metrics, Dashbot provides conversation specific analytics like phrase clustering, sentiment analysis, and response effectiveness. Dashbot launched two years ago and has processed more than 48 billion messages. For more information, visit www.dashbot.io.